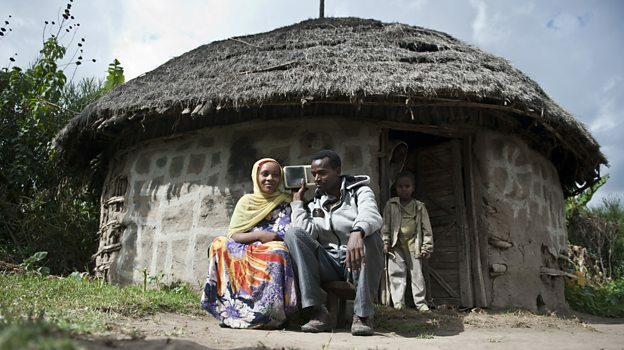 Watch: how radio that is rooted in real lives is transforming family health in Ethiopia. In Ethiopia, where maternal and neonatal death rates are some of the highest in Africa, BBC Media Action is taking a creative approach to sharing life-saving health information with women and their families. Maternal deaths account for 30% of all deaths of women aged 15-49 which in turn has an impact on infant survival rates. But rather than just deliver healthcare "lessons", the radio programmes, Biiftuu Jireenyaa and Jember - collectively reaching 21 million people in Ethiopia - reflect the preoccupations and rich experiences of their listeners, and tackle topics such as making a living in rural areas or the challenges of relationships. Music, proverbs and poetry are woven into the programmes to reflect Ethiopia's storytelling traditions. "Fundamental to our approach," said senior production manager, Fiona Ledger, "is the idea that women in rural areas do not define themselves just as patients." "Many different demands compete for their attention including the price of foods, the quality and quantity of the harvest, access to markets, the availability of water, the cost of secondary education, the settling of sons and daughters in satisfactory marriages. Pregnancy and birth takes place in this broad context and the programmes respect and acknowledge this." The programmes are recorded on location in Afan Oromo and Amharic, languages spoken by more than two thirds of the population. Biiftuu Jireenyaa means "Dawn Of Life" in Afan Oromo and Jember means "maternal light" in Amharic. They include interviews, discussion and fly-on-the-wall encounters between health workers and women; close attention is paid to regional differences in order to ensure each programme appeals to its local target audience. The experiences of people on the ground inspire the content. One example is that of a farmer in the Western Arsi zone of Oromia, whose maize field impressed producer Nazif Jemal. "Because there is enough space in between [the plants]," the farmer told Nazif, "it is growing beautifully and we expect a good harvest." The farmer went on: "I have come to believe the same is true for our children. When there is a good gap between them, they will grow well and become good citizens for the country, good leaders or good doctors and so on." This conversation directly inspired Nazif. "Our message in the programme," he said, "was just as you sow your crop, leave enough space between your children and you will get a good harvest.'" Such stories show how important it is to think of the whole family when making programmes to improve maternal and child health. And while the primary target audience is women of child-bearing age, the programmes are also designed to appeal to their husbands as men tend to have control over the household radio and play a crucial role in either promoting or preventing access to healthcare. To encourage women to be able to listen to the programmes the team included a short spot in each programme encouraging men to share their radio with their wife: “You share food with your wife, so why not share your radio?” it asks.